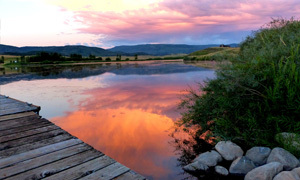 Steamboat Springs evokes many images and emotions to those that have been here. 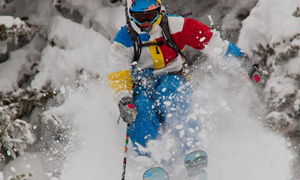 We enjoy an incredible climate – warm and dry in summer, blanketed by super-dry snow in winter. 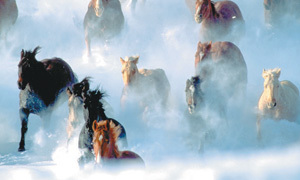 We blend the history of the ranching west with the thrill of a modern-day outdoor adventure playground. 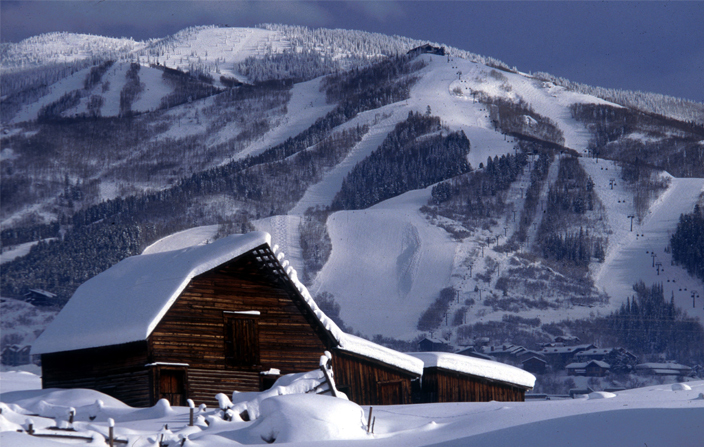 Steamboat Springs is the home of some of the lightest driest snow in North America, known to many as Champagne Powder, a term that is trademarked by the Steamboat Ski & Resort Corporation. Local rancher Joe McElroy coined the phrase before the ski area opened. Out skiing one sunny day in the early fifties on what terrain that eventually would be the ski area, he turned to a few friends and said the stuff tickled his nose like champagne...Champagne Powder. It’s the stuff of legends, and after one run through knee to waist-deep powder in Steamboat you will likely be addicted for life. Steamboat Springs was named by French Fur trappers in the 1860s for a hot spring near the Yampa River that sounded like a steamboat. 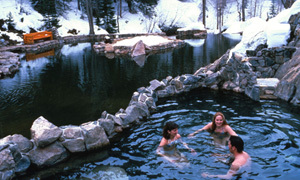 There are more than 150 mineral springs in the area and the opportunity to soak in the hot springs downtown or out at Strawberry Park is a year-round huge draw. After a day in the great outdoors where better to sooth your body than soaking under the stars in naturally heated spring waters? Steamboat Springs doesn’t fake its cowboy heritage. It is still real rancher territory and here you are more likely to meet folks wearing cowboy boots that actually muddied them mucking out stalls than many other mountain towns. The weekly Pro-Rodeo in summer showcases the skills and thrills of the authentic West and its influence lives on in the many Western-themed stores, eateries and events that run year-round. The people in Routt County are just plain friendly. Locals know that a quick trip to the grocery store might not take just five minutes because you frequently run into people you know who just want to catch up. Visitors love the lack of pretension and the genuine welcome that real locals extend. The desire to share what we love about this area just runs through our veins. When you are surrounded by such beauty its really hard to have a bad attitude about anything. It's a great place to raise children because Steamboat Springs truly has that "it takes a village" mentality. The school system is excellent. One of the best kept secrets might be the incredible library that has great resources and puts on lots of events for children. Year-round outdoor activities help parents keep kids active, busy and healthy. Against this backdrop it’s no wonder that Steamboat is consistently ranked as one of the best ski resorts for families. 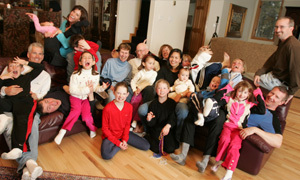 Kids-Ski-Free and Kids-Rent-Free programs make it easier for families to bring children and the Steamboat Ski School has a fantastic track record of guest satisfaction with its youngest clients. 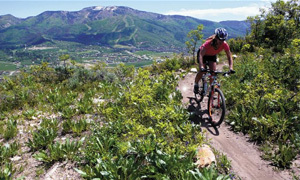 Also known around the world as “Bike-Town USA” Steamboat offers some of the best cycling experiences in North America. Having played host many major cycling events Steamboat including the USA Pro Challenge Steamboat has welcomed many of the world’s greatest athletes to compete here. Hundreds of miles of mountain bike trails offer unrivaled terrain and challenges. The Steamboat Bike Park operates on the ski mountain in summer and is gaining a reputation as one of the best in the World.